Editor’s note: The Wisconsin Towns Association is calling on the State of Wisconsin to halt further installation of wind turbines across the entire state, until proper and thorough studies are done to clarify the impact of turbine infrasound and low frequency noise on human health. The trigger for this startling and welcome resolution (by the WTA) was the Shirley ILFN Report, completed last month and described in detail, here. Folks, this is a big deal! A very big deal! The WTA represents virtually all the towns and villages throughout the State of Wisconsin. I have copied the following from the WTA website. The Wisconsin Towns Association (WTA) is a statewide, voluntary, non-profit and non-partisan association of member town and village governments in the State of Wisconsin controlled by its Board of Directors. WTA’s twin purposes are to (1) support local control of government and to (2) protect the interest of towns. In furtherance of those goals WTA provides three types of services for its members: legislative lobbying efforts, educational programs and legal information. If you visit the Home Page of the WTA, you will read the following. (1/23/13) The Wisconsin Towns Association has expressed concern since PSC 128 [Public Service Commission bill #128] was released about two years ago that the setback distances from non-participating residences to large industrial wind turbines of only 1,250 feet is too little. In addition, a recently released report [Shirley ILFN Report] including work by four separate acoustical consultants has recommended that additional study be conducted on an “urgent priority basis” regarding the possibility of any human health effects from low frequency sound and infrasound generated by large industrial wind turbines. Wisconsin Towns Association is not opposed to alternative energy, including wind turbines. However, serious health concerns have been raised by individuals and supported by this report that warrant further study. We are urging the PSC to stop permitting the installation of large industrial wind turbines until such studies can be completed. Click here to read the official resolution issued by the WTA. And so forth. It ends with the following earnest request. Richard Stadelman, Executive Director of WTA, has added the following commentary. Click here for a copy. It is significant that this report was prepared by four acoustical consultants with differing backgrounds and relationships with the wind turbines, in part with funding from PSC to a non-profit organization (Clean Wisconsin) who coordinated the survey who is generally pro-alternative energy such as wind turbines. It is also significant that all four consultants agreed upon the recommendation on an “urgent priority basis” for more study on the impact of low frequency sound and infrasound from wind turbines. Several towns in the area of the Shirley project and in towns in nearby counties where additional wind turbines similar to the Shirley project have been proposed, have been pushing for this type of additional health study to determine the impact of such low frequency sound and infrasound on humans living near these types of turbines. Two towns in Manitowoc County asked the WTA board of directors to consider adoption of a resolution in support of asking the PSC for a moratorium on permitting and installation of any additional large wind turbines pending the completion of a sound survey and health study as recommended by the consultants in the report. Now Therefore, Be It Resolved, by the Board of Directors of the Wisconsin Towns Association that the Wisconsin Public Service Commission and the State of Wisconsin enact a moratorium to stop the permitting and installation of industrial wind turbines until further studies are done, solutions are found, and the State’s wind siting rule (PSC 128) is modified to implement standards that address ultra low frequency sound and infrasound from wind turbines that will protect the health and safety of residents. The Wisconsin Towns Association has expressed concern since PSC 128 was released about two years ago that the setback distances from non-participating residences of only 1,250 feet was too low. In addition this report of four acoustical consultants has recommended additional study be conducted on an “urgent priority basis.” Wisconsin Towns Association is not opposed to alternative energy, including wind turbines. However, serious health concerns have been raised by individuals and supported by this report that warrant further study. We are urging the PSC to stop permitting the installation of large industrial wind turbines until such studies can be completed. 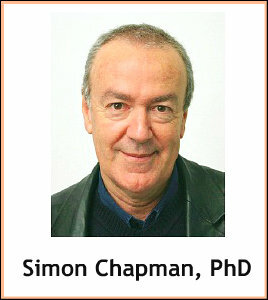 As always, we dedicate this story to that learned professor of public health, Australia’s very own Professor Simon Chapman. The State of Wisconsin reviewed the noise study done for Falmouth, Massachusetts by the State of Massachusetts. Based on how poorly the study was done for Massachusetts, the State of Wisconsin has decided to stop the insanity. Here is part of what the Wisconsin Board found. Check what Wisconsin feels are the qualifications of the people who did the Falmouth, Massachusetts noise tests. Drs. 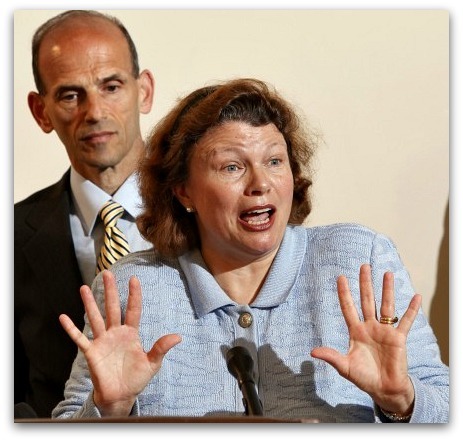 James F. Manwell and Dora Anne Mills are extreme pro-wind advocates. Manwell oversaw the first utility-scale wind turbine and the largest wind turbine constructed in Massachusetts. Manwell has won several awards from the American Wind Association and U.S.Department of Energy. 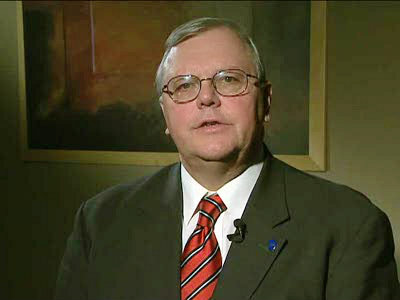 Mills has provided public testimony and “op-ed” newspaper pieces supporting wind turbines while a member of the Commission and before the findings were released. Posted information on Maine’s CDC website as Maine’s public health director that wind turbines do not have negative health effects, in 2009. Page 2 of the study states that 5 of the panel members “did not have any direct experience with wind turbines.” While the other members had backgrounds in epidemiology, toxicology, neurology, and sleep medicine, they had no past direct experience with wind turbines.